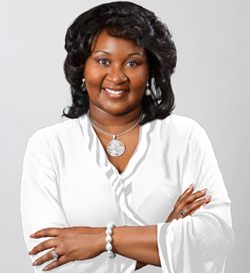 As Founder and President of Catalyst Enterprises International, Dr. Michelle Dawson’s mission is to “help organizations and individuals turn potential into performance.” As an Organizational Strategist with nearly 20 years of experience, Michelle has help hundreds of organizational leaders to discover growth opportunities, increase productivity and implement action plans to achieve measurable and sustainable results. Michelle works closely with clients to develop Purpose-Filled People, PrioritizedPlans and Pertinent Processes to yield Peak Performance far beyond their expectations. Her understanding of multiple industries and appreciation of diverse work cultures has been a driving force in her ability to guide people in a positive direction and improve their business and personal skills. In addition to motivating and inspiring her audience, Michelle’s clients achieve positive, sustainable and measurable results by implementing her action-oriented tips, tools and strategies. Michelle has conducted leadership programs and strategic business consultancies for corporations and nonprofit organizations in the United States, Asia, Europe, Australia and Africa. Catalyst Success Institute, the entrepreneurial development division of Catalyst Enterprises, helpsentrepreneurs breakthrough self-sabotaging thoughts and paradigms to make quantum leaps in their business mission, mindset, methods, and money. As a result, clients are experiencing sustained measurable growth in their businesses that align with their vision, values and desired lifestyle. Recognized for the successful outcomes achieved by her clients, Catalyst has been honored as one of the Top 100 Mid-Atlantic Minority Business Enterprises and Delaware Today Magazine’s 20 Outstanding Woman Owned Businesses.